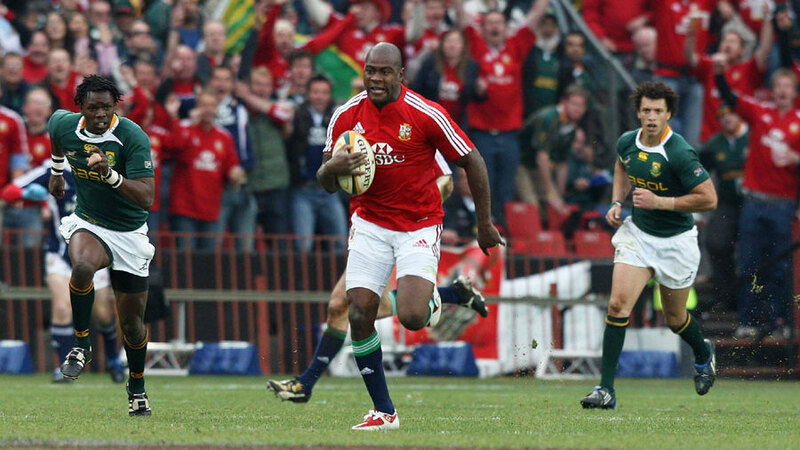 The British & Irish Lions defeated South Africa 28-9 in the third Test at Ellis Park in Johannesburg, registering a fine consolation win to close out a tumultuous series at 2-1 to the Springboks. Wales wing Shane Williams bagged a brace of first-half tries to finish his troubled tour on a high, with Ugo Monye snaffling a long-range interception for the tourists' third. They withstood the loss of Simon Shaw, sin-binned after he collided with a prone Fourie du Preez as he chased back from a scrum. The Springboks took to the field shorn of lock Bakkies Botha, banned for a challenge that left Lions prop Adam Jones with a dislocated shoulder, his team-mates making a point by wearing white armbands with "Justice 4" emblazoned on them. Clive Woodward ended his first season in charge of England with an 18-0 defeat by South Africa at Newlands. The match brought an end to the "tour of hell" that included two crushing defeats at the hands of New Zealand and one apiece against Australia and South Africa. The four games saw England concede 198 points and score just 32. Matt Dawson captained the weakened side as they went down to their smallest defeat on the tour after being thumped by Australia and New Zealand twice already and racking up no points in two of the games on tour. Andy Irvine , winning his 50th cap, led Scotland to a 12-7 defeat of Australia in Brisbane, their first Test win in the southern hemisphere. Irvine kicked a penalty and he also converted Keith Robertson's try to add to a John Rutherford dropped-goal. Arthur Smith's Lions were held 14-14 by Orange Free State in Bloemfontein, the capacity crowd standing to give both teams an ovation at the end of a pulsating match. Only a try deep in injury time from Haydn Morgan and the resulting conversion from fullback John Willcox enable the Lions to get out of jail. Otago showed the Lions how to ruck, beating the tourists by the handsome margin of 26-8 in the fifth match of the visit. Otago ran in four tries against a Lions side hit by an injury crisis and with replacements arriving on almost every flight. The day after the match the Lions lodged a formal complaint about the standard of refereeing on the tour to date. Herb Barker's kicking brought the Wallabies a 15-12 win against Eastern Province in Springs. He landed four penalties to three by Jakkals Keevy for the Province, the sides scoring a try apiece. Durham wing Fred Chapman claimed a hat-trick of tries as the Anglo-Welsh visitors ran up the biggest win (26-0) of the New Zealand leg of their tour.